You are here: Home / Grooming / All about shampooing! Shampooing is an integral part of grooming. 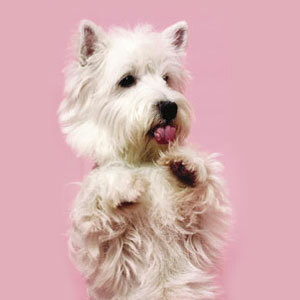 Here are a few FAQs on shampooing in pets to help you to choose the right shampoo for your pet. Why does my dog need shampoo? Dog shampoo has cleansing or soothing actions on the skin and improves the odour. In case of fungal infection of the skin, dandruff, allergies, external parasites, or other skin conditions, appropriate shampoo is helpful to control and reduce the clinical symptoms and to maintain a pleasant odour. Is human shampoo effective on my pet? The skin of pet animals is comparatively thinner and more sensitive than human skin. Moreover, human shampoos have stronger detergents and different pH than pet shampoos. It is therefore advisable to use a shampoo formulated for dogs to avoid adverse effects. When can I start shampooing my dog? It is recommended to shampoo your pups only after 12 weeks of age. But it is necessary to choose the right kind of shampoos which are exclusively manufactured for pups only. Such mild shampoos for the young dogs are formulated as per the texture of the puppy’s soft coat. Which shampoo should I use for dry skin? Dryness of the skin may be due to problem in the skin cells or other factors. Shampoo with natural moisturisers, natural herbal formula, or an oatmeal-based formula are useful to maintain the skin hydration. Which shampoo can solve oily dandruff? Medicated shampoo, which contains Selenium sulfide (a keratolytic), Miconazole (an antifungal) and Chlorhexidine Gluconate (a proven antimicrobial agent) are able to get through oily skin and wash away built up scales and dandruff. Shampoo therapy is often used in conjunction with oral therapy for various types of skin disorders including ectoparasitic infestations (mange, lice and fleas), allergy, bacterial infections (pyoderma), fungal infections (ringworm, Malassezia dermatitis), seborrhea, dry skin, etc. Shampoos can prevent secondary skin problems, control odour and contribute to the comfort and cleanliness of the patient. Shampoo bath also rehydrates the skin and contributes to better overall skin health. Contact time – minimum of 5-15 minutes of contact time to facilitate the effective action. Frequency – depending on the problem, the frequency will be advised by your veterinarian. Application – complete soaking of the coat with lukewarm water first and applying the medicated shampoo till sufficient lather formation. Maintenance – maintaining proper grooming between shampoo therapies is essential. Brushing is useful to remove dead hair, scale and mats, and to promote oil deposition on the skin. What are the types of shampoos available for pets? Benzoyl peroxide – has properties of antibacterial, follicular flushing, degreasing and scale removal. Selenium sulfide – has properties of degreasing and removal of epidermal scale on the skin surface. Sulfur and salicylic acid – have antifungal, antibacterial, antiparasitic, antipruritic (anti-itch) activities and maintain normal skin function. Benzoyl peroxide – One of the most active antibacterial agents with a residual effect up to 48 hours. Chlorhexidine – has broad spectrum activity against bacteria, fungi and yeasts. Has a rapid kill and up to 36 hours residual activity. Ethyl lactate – has very good antibacterial activity. Antifungal shampoos: These shampoos usually contain Imidazole group of antifungal drugs that inhibit the growth of fungal organisms. These shampoos are valuable in the treatment of ringworm and Malassezia dermatitis. 4. Antiparasitic shampoos: These shampoos usually contain Carbaryl, Permethrin, and herbal ingredients, which have the ability to kill and repel the external parasites. So, they are used in case of flea, tick and mite infestation. Coat cleansers and conditioners: These shampoos usually have herbal ingredients that have cleansing, conditioning and insect repellent activities. These shampoos are generally used for regular bathing in normal healthy pets. http://www.dogsandpupsmagazine.com/wp-content/uploads/2011/11/026a1.jpg 134 250 Dogs and pups Magazine http://www.dogsandpupsmagazine.com/wp-content/uploads/2017/05/1254nal.jpg Dogs and pups Magazine2011-11-16 11:31:462014-02-07 17:48:58All about shampooing! Canine mammary tumours Pawfect family!